For an unforgettable Branson vacation, the Barrington Hotel & Suites is sure to be an amazing lodging option. This hotel offers fantastic amenities that will make visitors truly feel at home. 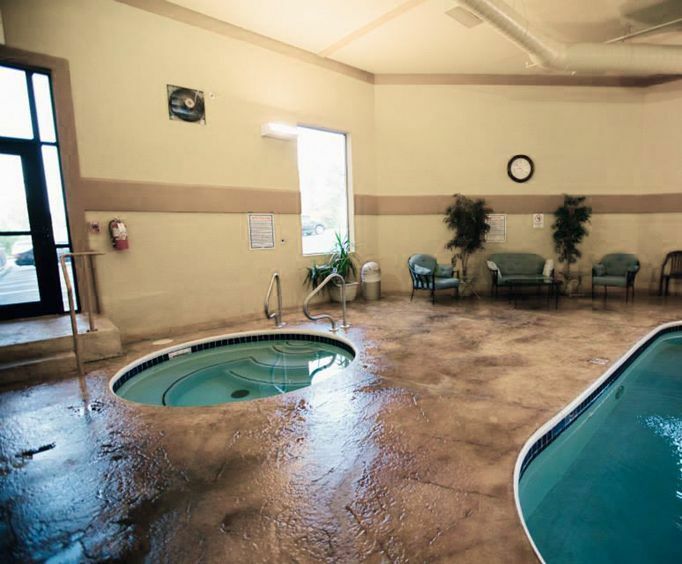 Start each morning off with a delicious hot breakfast, take a dip in the indoor pool, or hang out at the hot tub. When you return to your bed at night, you'll enjoy luxuries such as brand new bath towels, bed linens, and coverlets. As guests arrive at the hotel, they will see a covered entry with pillars. There are plants scattered around the front of the lobby area as well as along the front of the building. Rooms are decorated with neutral colors such as cream and brown and the newly renovated hotel is sure to be a comfortable place to stay. Just a few of the amenities that guests will be able to take advantage of include free WiFi, free parking, a gym, indoor pool, hot tub, and a business center with faxing and copying services. 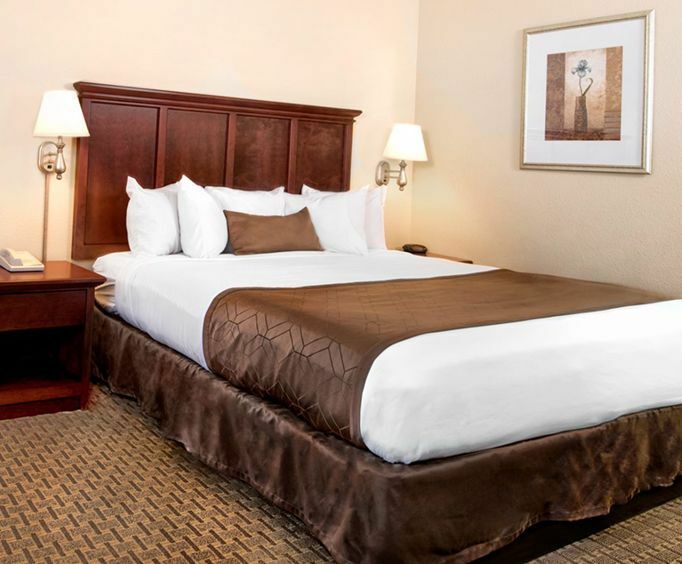 After a day of enjoying tons of Ozarks fun, return to your room where you can relax and unwind. Rooms include complimentary WiFi as well as cable television services. Each room has a coffee maker and refrigerator. Larger rooms have a full kitchen. Suites have sofa beds and spa bathtubs. There are also DVD players in some rooms. Rooms have a desk so guests can work, and there is a double sink in the bathrooms. 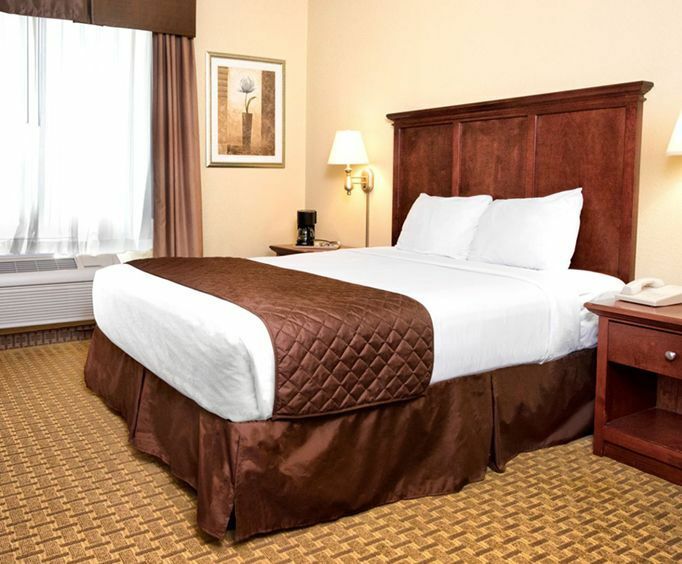 Whether you are enjoying an anniversary or a family outing, a staycation or a business trip, you are sure to find everything that you need at the Barrington Hotel & Suites.